A global leader in facility design, manufacture & installation for the wind energy, marine, metal fabrication, gas & oil, and aerospace sectors. 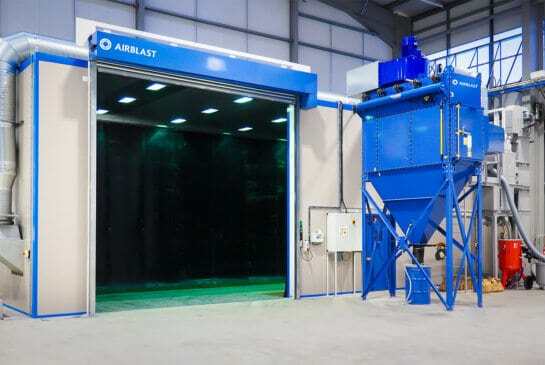 Airblast Eurospray spray booths are developed using the latest design innovations to ensure they are economical, modular, compliant, and energy efficient. 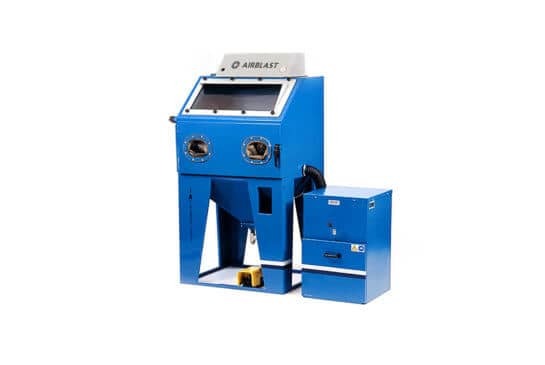 Airblast Eurospray blast machines are used worldwide and are continually refined to provide the exceptional performance the industry demands. 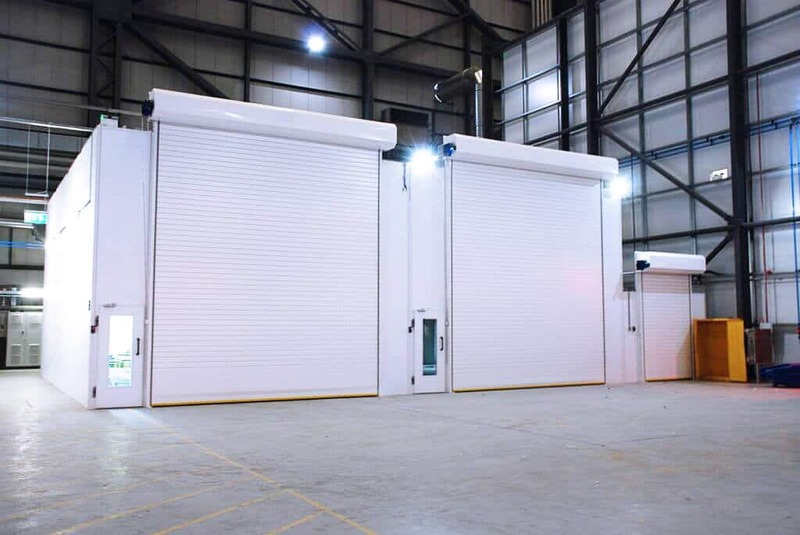 Highly competitive direct suction and direct pressure blast cabinets are available from Airblast Eurospray, as well as wheel blast and bespoke cabinets. 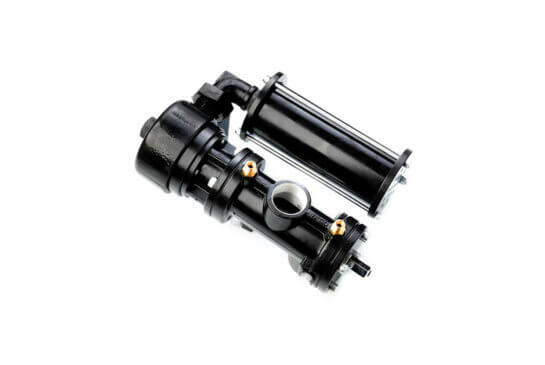 Spray paint equipment from Airblast Eurospray includes airless and air-operated pumps, spray guns, hoses, powder coating equipment, and accessories. 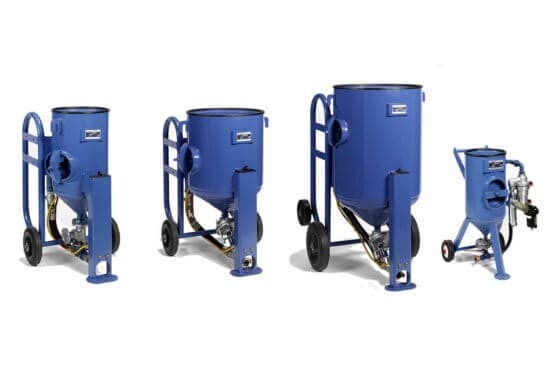 Parts and products are available to buy from the Airblast Direct online store. 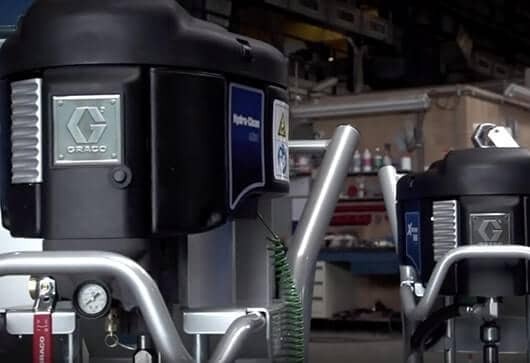 Airblast Eurospray also offers equipment servicing, refurbishment, and rebuilds. We work with leading industry sectors to provide exceptional blast and paint facilities, products and servicing - backed up by 50 years’ experience in surface preparation & finishing. Specialised preparation and finishing facilities capable of accommodating the world’s largest aircraft, ships and submersibles. Extensive experience in the design and installation of blasting facilities and machinery for wind turbine manufacturers, offshore contractors and OEMs in the oil & gas industry.  We produce bespoke facilities and equipment to prepare, finish and service large-scale assets exposed to ultra-corrosive environments.  Helping rail and haulage companies to protect vehicles, rolling stock and infrastructure from corrosion with the most innovative product and facilities solutions. World-class product and equipment support for the steel infrastructure sector; preparing and protecting large scale and inaccessible structures such as bridges, water tanks and gas towers. Discover the history of Airblast Eurospray and learn about our international ventures. Download guides, tech sheets and brochures or read our latest case studies. Ready to talk? There are various ways to contact us or follow us online. Have questions or need more information about a project? Our engineers and technical sales team are ready to answer your questions.